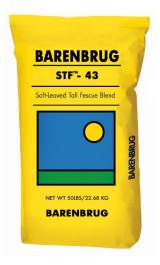 STF-43 is an innovative blend of late-maturing, soft-leaved tall fescues. STF-43 produces impressive dry matter yields with exceptional levels of digestible fiber. 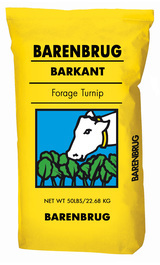 STF-43 is the result of Barenbrug’s forage analyses program which measured NDF (neutral detergent fiber) and NDFd (NDF digestibility). 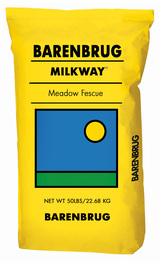 Fed to high-producing animals such as lactating dairy cows, STF-43 provides energy derived from digestible fiber as well as the valuble effects of fiber which together promote rumen health and productivity, and, in turn animal health and productivity. STF-43 is well-suited for hay and haylage/baleage production. 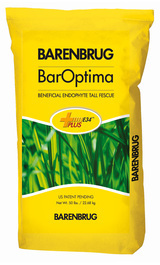 It is an excellent selection for a mixed or interplanting with a legume. STF-43 is late maturing and endophyte-free.